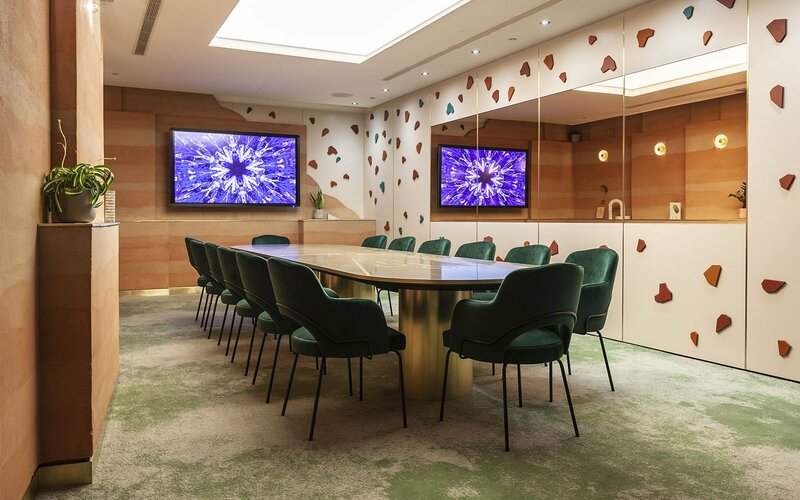 CBY were invited by Bompas and Parr, to make a custom built table and terazzo wall-piece for The Agora at Hilton london Bankside -” the worlds best meeting room packed with features specifically designed to stimulate creativity” – . 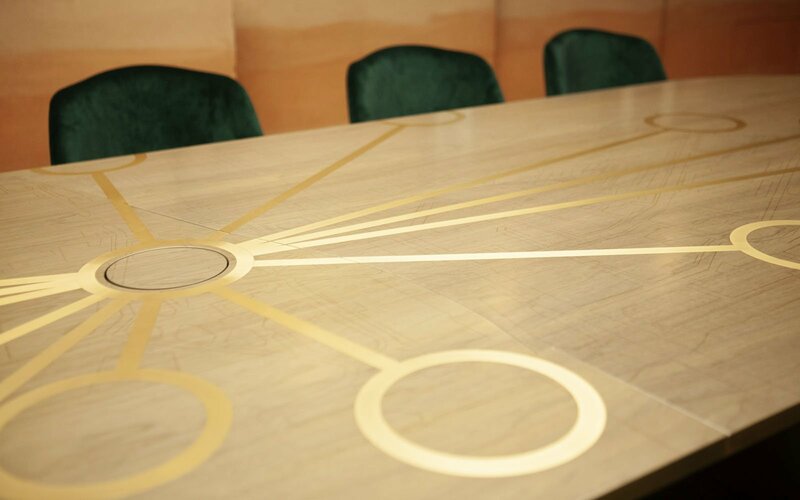 As the centre-piece of the room, the table featured a map of the bankside community etched into a walnut veneer backdrop. Inlaid into the veneer were solid brass ‘ley-lines’ and circles, highlighting important sites of creativity: The Globe, The Tate, British Film Institute and Royal festival hall etc. 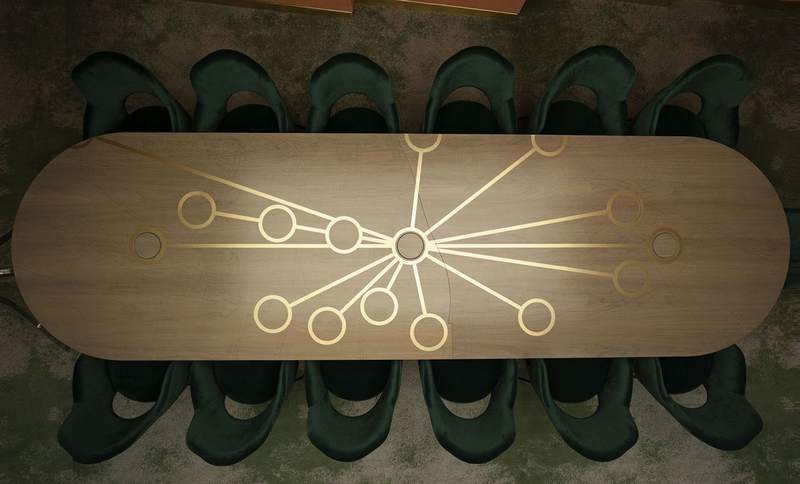 The brass detailing was continued within the edge to the table and it’s legs; cylinders wrapped in rolled brass sheet. 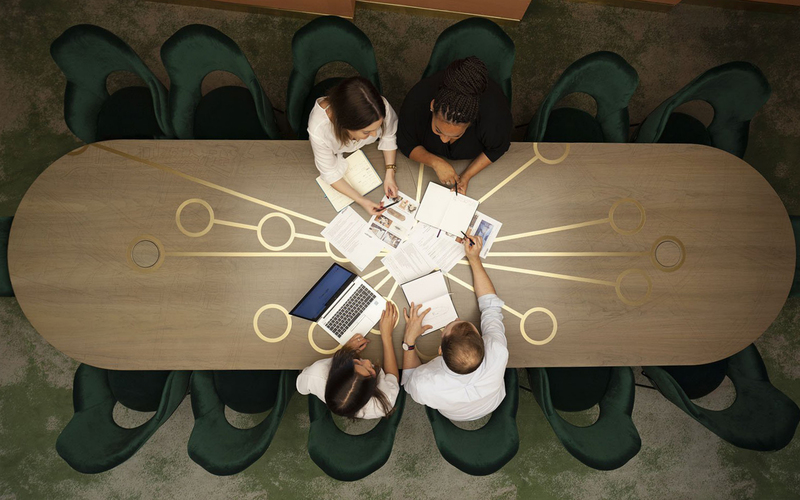 Below the surface of the table were three pop-up media ports which raise up when a concealed walnut veneer disc is pressed. 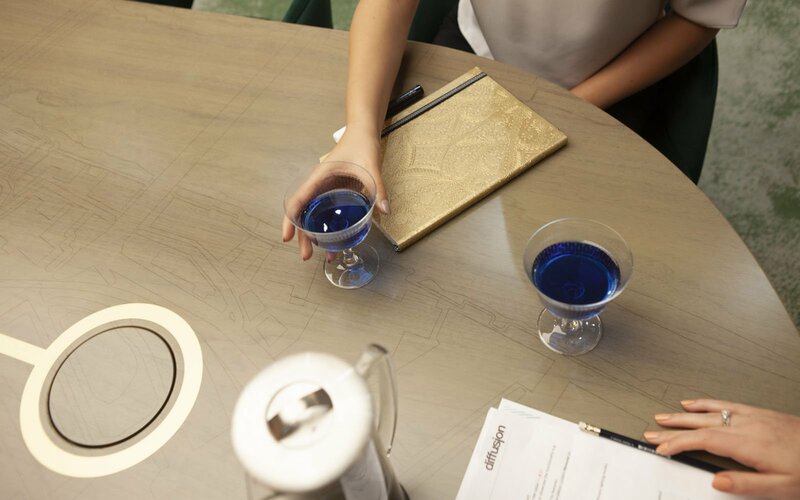 The terazzo wall-piece was designed by Bompas and Parr for guests to pin creative outputs up directly to the wall. The pieces were CNC cut from different valchromat colours and magnets were set into their backs. 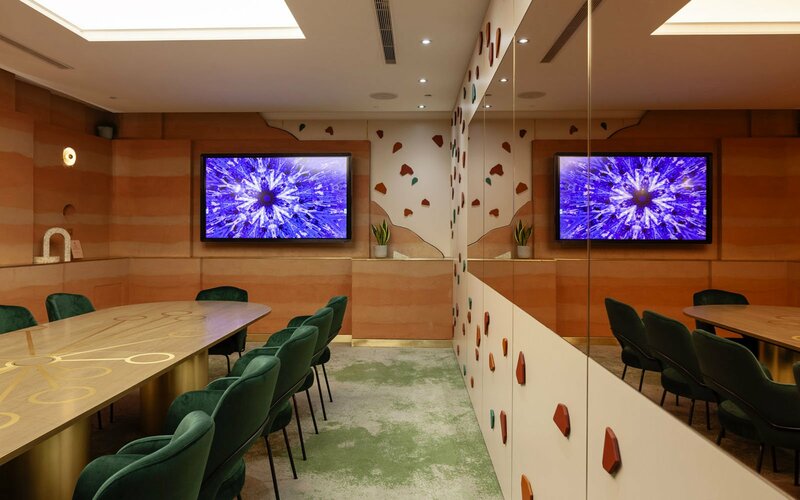 The pastel pink wall is a ply substrate with layers of metal and formica, allowing it to function both as a magnetic board and a ‘white’ board.